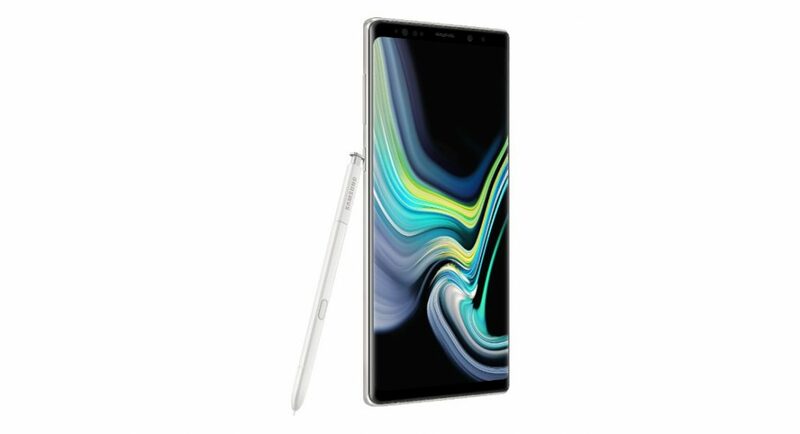 Samsung Galaxy Note 9 is easily among the most premium smartphones of 2018. When launched, the smartphone was available in Ocean Blue, Midnight Black, Metallic Copper, and Lavender Purple colours. And now, the South Korean technology giant has added a new colour variant of its phablet – limited edition Alpine White. It is worth noticing that the Pure White colour variant was launched a few days back in Taiwan. That’s not all. The company has also added a new colour variant of the Samsung Galaxy S9+ smartphone. Till now, Samsung’s flagship smartphone of the year was available in Blue, Black, Purple, Red, and Sunrise Gold colours. Going forward, customers have more choice and can also pick the mobile phone in dual-tone Polaris Blue finish. This colour variant was also available in some international variants. Samsung Galaxy Note 9 Alpine White coloured variant will only be available in 128GB storage model and cost Rs 67,900. And on the other hand, Samsung Galaxy S9+ Polaris Blue will only be available in the 64GB storage variant and will cost Rs 64,900. If you are an interested buyer, you can pre-order the smartphone Samsung’s online store and other select e-commerce platforms starting December 7. IF you don’t like to shop online for your gadgets, you only have to wait till Monday, December 10 to buy the new colour variants from retail stores. Currently, an exchange bonus of Rs 9,000 can be availed by customers on exchanging old smartphones. Other than this, a cashback of Rs 6,000 can be availed if customers pay for their purchase via HDFC Bank credit or debit cards. Customers can also get an instant discount of Rs 3,000 on buying the Samsung Galaxy S9+ Polaris Blue.